In the U.S. alone, approximately 5.1 million people may have Alzheimer’s disease. Although not associated directly with the aging process, older age groups are at higher risk of developing it. The illness doesn’t seem to be slowing down either. Between 2010 and 2050, the number of Americans age 65 and older will more than double to 88.5 million, the equivalent of 20 percent of the entire population. Unfortunately, these are the harsh facts behind Alzheimer’s. But with advances in neuroscience and technology, scientists are on the verge of finding more effective treatments, or rather a solution to combatting the iconic symptoms of the disease. Researchers at the Washington University School of Medicine in Missouri are looking at a particular protein and the gene responsible for its production in the body. 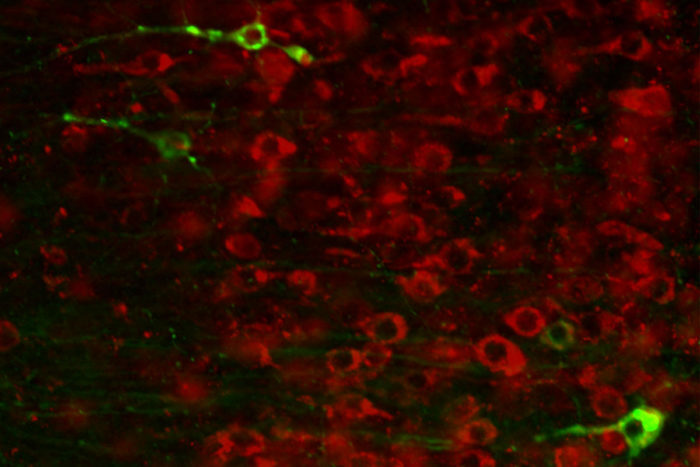 It’s called the tau protein, and in a healthy brain, it helps to maintain the functioning of neurons. But in someone living with Alzheimer’s, the tau protein morphs into ‘tangles’ that are toxic to the brain. To test if these tau protein tangles could be reversed, the researchers took genetically engineered ‘tangled’ mice and injected them with antisense oligonucleotides, or RNA, four times a month. The result – tau levels plummeted, and existing tangles seemed to disappear. The protein even stopped spreading in older mice. Their life expectancy was longer than mice treated without antisense, and they were able to recover some traits lost from the mutation. With monkeys, the test results weren’t as hopeful. They found that tau protein levels only dropped by 20 percent, leading them to believe that future tests on humans could potentially produce adverse effects. Scientists aren’t completely sure where a reduction of tau in the human brain could lead. Normal operation could cease to function, or function abnormally as a result. Other possible Alzheimer’s treatments were tested in recent years, and many failed to reverse the effects of the disease. It will still be a long way until people are able to experiment with human subjects, and the clock is ticking as the number of Alzheimer’s patients continues to increase each year.